Joseph Gordon-Levitt plays a young Bruce Willis in the new movie Looper. I catch up with him to yarn about the movie and being Bruce! Being a massive John Lennon fan it was a bit of a thrill to meet his boy Sean. Obviously my initial curiosity wasn’t about his ability to create music as well as his dad but more so, if he had what it takes with the ladies. As you will see in this interview the proof is well and truly in his little pudding. A very slender and lean supermodel type was hanging in the background. I was to later find out this is his girlfriend and a band member in Sean’s group, The Ghost of a Saber Tooth Tiger. I don’t think it is actually a group but more a duo. Other than his ability to attract a good looking girlfriend/muse/bandmate, Sean proved to be a funny dude in our short interlude. I’ve also included my interview with Joseph Gordon-Lovitt below as it appears that he and Sean are great mates. All in all John Lennon did well with his off spring here and Yoko raised a fine lad. Sean Lennon. And here is my interview with JGL which happened just as Sean was wandering off…. 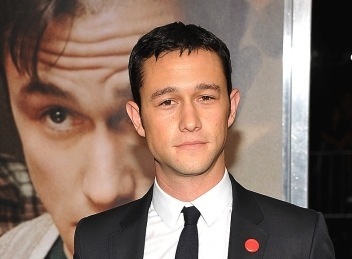 Joseph Gordon-Levitt is a very relaxed and happy fella. He does a great job in the movie 50/50 playing a young man who is struck down in his prime. A film that is a mix of drama and comedy, Gordon-Levitt nails it as a guy who’s world is tipped upside down. This film stars Seth Rogen who brings the laughs as his buddy and the lovely Anna Kendrick who plays his therapist/romanticist…. is that a word? 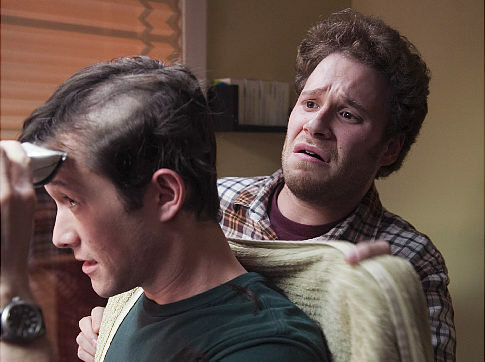 In the movie 50/50 Seth Rogen does a good job as the funny sidekick in a drama that is driven by the actor Joseph Gordon-Levitt. Finding out he has cancer Gordon-Levitt’s character’s world falls a part but his spirits are lifted by the consistent ball gags and coaching to shag by Seth Rogen’s character. I caught up with Seth on the red carpet and also chatted with the writer of the movie Will Reiser. The film is based on Will’s experiences when he got cancer. I also chatted with the director of the movie Jonathan Levine. I used to stay with a mate of mine Swanno in LA when I would cover the Oscars. Levine used to live in the bungalow in the backyard. He was one focused dude writing a hell of a lot. 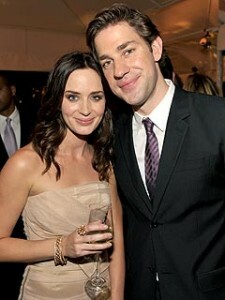 This was a cool reunion…. 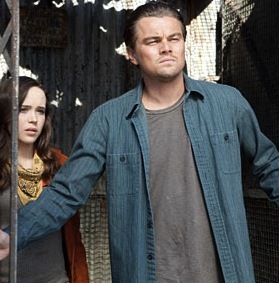 Is INCEPTION the most confusing movie ever? I saw Inception and I concentrated hard. I had talked to friends who are really smart and they said it was tough to follow. I had forgone my beers over lunch, smashed a red bull and went in to the theatre with a similar look on my face to when I am on the toilet or getting the sun in my eyes. I was focused. By the end of the movie I thought I had a grasped the concept but decided to get some clarification from a film expert out side the New York Times building on 41st street. He also has some great points on the saturation of 3D movies hitting movie theatres. A true intellect. People who tried to understand the movie…..